Maj. Gen. (res.) Uri Sagi drops out, leaving the Labor party without a military man in its list. Maj. Gen. (res.) Uri Sagi informed Labor party head MK Shelly Yechimovich Wednesday that he is leaving the party, just two weeks after he announced he would be joining it and contending for a spot on its Knesset list. Sagi said that the reasons for leaving the list were "personal, health and family related." MK Yechimovich said that Sagi "has contributed much to the state and I respect his decision." Sagi headed the team that negotiated with Syria in 1999-2000. 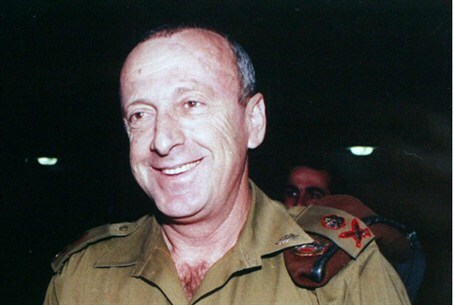 When he was in uniform, he served as Head of Military Intelligence, Head of Southern Command, and Golani Brigade Commander, among other things. Labor is now looking for someone else to fill the "security expert" slot which is considered essential for gaining the trust of mainstream Israeli voters. Yechimovich focuses mostly on social and economic messages and has tried to avoid speaking about security and diplomacy, possibly because her views are very far left in these matters. Sagi has sharply criticized Prime Minister Binyamin Netanyahu's position regarding a possible independent Israeli strike on Iran, calling it "orchestrated and timed hysteria that puts the nation in an artificial state of fear and nothing else."